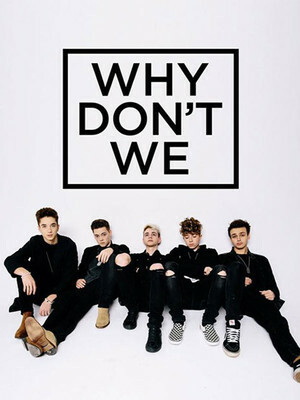 Why See Why Don't We? Why Don't We are hitting the road in support of their debut album, 8 Letters! Released at the end of August, 2018, 8 Letters includes the hit song 'Trust Fund Baby'. Don't miss out when they hit your town! 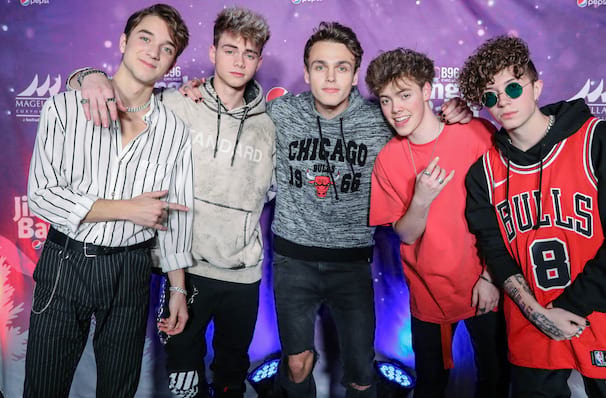 Posited as the likely successors to One Direction, WDW comprises former solo pop stars Corbyn Besson, Daniel Seavey, Jack Avery, Jonah Marais, and Zach Herron, forming in September of last year. Combining their good looks, talent and charming personas under one banner, their sound is inspired by the likes of Justin Bieber, The Chainsmokers and Shawn Mendes, to name just three influences. Their debut EP, aptly named 'Only The Beginning' dropped in October, with three singles spawned from the release, including "Taking You". The band has currently been working with YouTube vlogger Logan Paul, who has directed three of their videos and was involved in collaboration on their track "Help Me Help You". About Jacksonville Theater: We are an independent show guide not a venue or show. We sell primary, discount and resale tickets and prices may be above or below face value. Sound good to you? Share this page on social media and let your friends know about Why Don't We at Dailys Place Amphitheater. Please note: The term Dailys Place Amphitheater and/or Why Don't We as well as all associated graphics, logos, and/or other trademarks, tradenames or copyrights are the property of the Dailys Place Amphitheater and/or Why Don't We and are used herein for factual descriptive purposes only. We are in no way associated with or authorized by the Dailys Place Amphitheater and/or Why Don't We and neither that entity nor any of its affiliates have licensed or endorsed us to sell tickets, goods and or services in conjunction with their events.